Kathmandu, Nepal - Bijaya Limbu is an experienced circus performer who enjoys his art - but his introduction to the traveling showbiz lifestyle came through human traffickers who bought him from his parents. While other children watch the circus in awe, Limbu was just nine when he was first forced to work in a circus. He says he was trafficked from Nepal to a circus in India, and forced to perform for four years until he was rescued. Limbu's story highlights the state of human trafficking in Nepal, where poverty coupled with lack of awareness fuels the trade in children. He says "agents" approached his parents and that his parents agreed to let the agents take their son away. He says he doesn't exactly remember how much the agents paid his family. Limbu says he was taken to "some part of India," was trained at a circus, and would perform three shows a day. He doesn't talk much about those days at the circus. He says there's no point scratching the scars. Now 21, Limbu is back in Nepal and a star of Circus Kathmandu, which is made up largely of child trafficking survivors. Eleven of its 13 members have suffered through trafficking. Formed in 2011, Circus Kathmandu is also Nepal's premier professional contemporary circus group. Limbu says he and his fellow survivors see Circus Kathmandu as a place to perfect the skills they once had no choice but to learn. "Before I was forced to do this," said Limbu, who is also a national gold medal-winning gymnast. "But here I am, still doing circus because I love it. I'm incorporating what I learned before [at the Indian circus], and showing my talents at Circus Kathmandu." And Circus Kathmandu is presenting a slice of the reality of trafficking on stage. Its latest show, "Swagatam (Welcome)," mirrors real life events and explores the subject of human trafficking. The 45-minute show with popular Nepali, Hindi and English songs, includes monologues telling deeply personal stories of trafficking in Nepal. According to the latest report from National Human Rights Commission, Nepalese children are trafficked for the "purpose of sexual exploitation and labor exploitation including circus performances within Nepal and to India." 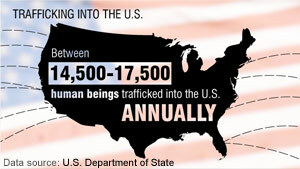 The report estimates that 5,500 people were trafficked in 2010. 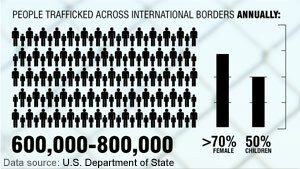 In 2011, it estimates 11,500 people were trafficked or targets of attempted trafficking. The country lacks specific data on how many of those were children. The U.S. State Department's Trafficking in Persons Report 2012 states that the "Government of Nepal does not comply with the minimum standard for elimination of trafficking; however it is making significant efforts to do so." Kiran Rupakhetee, Under Secretary at the Government of Nepal's Secretariat for National Committee for Controlling Human Trafficking, insisted his department, which falls under Nepal's Ministry of Women, Children and Social Welfare, is "concerned and focused" on implementing the policies. In March 2012, Nepal endorsed the National Plan of Action Against Trafficking in Persons. The policies focus on preventing trafficking and prosecuting traffickers, as well as building centers for rescued survivors. But Rupakhetee adds it does not have in place a plan for rescuing the victims of trafficking in India. So far, that's been down to non-governmental groups and people like Shailaja CM. She was responsible for rescuing most of the survivors who are now in Circus Kathmandu. CM says she has been rescuing victims since 2004 and has been involved in 42 rescue missions. So far, she says she has helped rescue around 500 children from India, 390 of them from Indian circuses. She says going on a rescue mission is like going to war - she has to combat the enemies and return victorious with the children. She says there is always a risk of getting killed. "But it's the kids that gives me the courage," said CM, who now works with the non-profit Sano Paila's Nepal Rescue Agency. "You can't look at the danger and just give up. You have to look at the situation of these children - they're being exploited. Someone has to do something." The members of Circus Kathmandu are an example of what rescued children can achieve. Anjali Chhetri, 20, is reluctant to talk about her past. Like most of the troupe members, she wants to focus on the present and has her future goals set. She is determined to be involved with the circus and help change people's perception of it. The circus, she said, has a negative connotation in Nepal. It's "not a bad profession," Chhetri said as she looked at her colleagues warming up for the show in Kathmandu. "We're just showing our skills and our talent. It's our profession, and we're proud of it." For most of the team members, the circus is also their source of income. They get a monthly salary of 8,000 Nepalese rupees (about $94) in addition to other benefits and allowances. But the 13 members, all in their early 20s, also dream of building a national and international identity for their craft. It all began when Robyn Simpson, co-founder of Circus Kathmandu, visited Kathmandu for a workshop in 2010. She said: "These children had the skills and the potential. There was an opportunity for them to show what they could do. We just thought of establishing a professional company and let them perform as a career." Since then, Circus Kathmandu has produced three shows - "The Demon's Spell," "Dakini" and "Swagatam." Simpson, who travels to Kathmandu every six months to train the troupe, said: "Everything we thought was a possibility is now a reality." But for some of its members, the experience is still emotional, as the memories of their Indian torment collide with their dreams for the future. Simpson said: "It's been an important process to get the group to feel that they can reclaim their past and acknowledge that they wouldn't be where they are now without that. Now it's a way of catapulting them into the future." And according to the group, the future looks promising. After numerous shows locally, Circus Kathmandu is now planning its international debut later this year in London. For most members of Circus Kathmandu it will also be their first time on a plane. Chhetri says she is excited at the prospect of performing overseas and letting people know about Circus Kathmandu. Limbu says he is "eager to see London." He recognizes it is an opportunity to not only showcase his skills but also build a positive image of the circus at home. "We need to break the stereotypes and let people know circus isn't bad after all," he said. "Nepal doesn't have any professional circus group, and we're breaking barriers." He added, "I feel free now, and want to make circus my future." Great endeavour, best of luck to these children. I hate football... but like RGIII .Who want agegap love ? I m seeking a serious relationship . Add me on my agegap blog on AgeDate.C0M Seriously ! Abysmal. 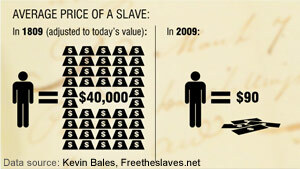 Pimping should be considered human trafficking also. I was born and raised in a circus family. I started performing (training & working full time) at 7yrs old. This was the life chosen for me. I never saw a dime of the money that my parents made off me. It frustrates me to no end when people like PETA complain about the animals being made to work in the circus but don't even notice all the children in the same position. Of course if asked I would have said how much I loved it because this is what is expected. I left that life as soon as I was old enough to be on my own. I am now married with children of my own. I often say that I ran away from the circus to join a home. I would NEVER dream of using my own children for profit. I'm happy they can enjoy their childhood! May God Bless And Keep You. Good Work Keep It Up. Save the whales, save the seals, save the planet. Now it has gotten down to save the children. What is going on here? Good work. God bless all those that contributed to the formation of Circus Kathmandu without which these unfortunate children could very well have ended in the streets. Best of Luck, Circus Kathmandu...keep going! 80% Afghan people want the US troops get out from Afghanistan. The US has violated democracy and violated human right seriously in Afghanistan. The corrupt US government murders 100,000 innocent Iraqis and 25000 innocent Afghans to promote the US military budget (to bankrupt the US treasury). Iraq and Afghanistan should get apology and compensation (US$ 8 trillion, US$ 3 trillion) from the US. 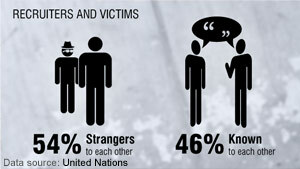 as developing countries basically suffer from hand to mouth problem ,as a reason human trafficking takes place the happens in the context of nepal, so for the better development and better improvement of living standard of people government should have to launch QUICK RESPONSE PROGRAM such that trafficking can be controlled.viewing the future generation government should have to-make strong rules and policies against human trafficking.